Twin pregnancies are automatically higher risk than normal pregnancies. 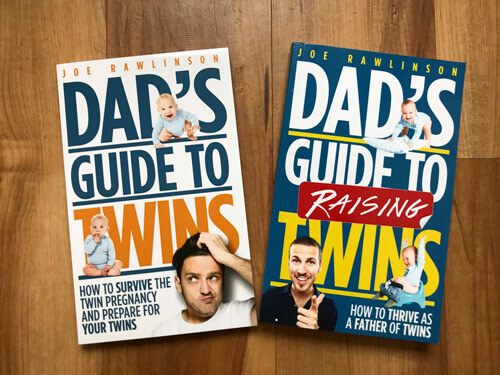 To put it simply, having twins increases the odds that something will go wrong during the pregnancy. But that doesn’t mean that moms with twins are doomed to have problems or need to suffer extreme stress worrying about how early can twins be born. Many twins are delivered without any major problems. How Early Can Twins Be Born? How early can you have twins? Twins can be born much earlier than a normal, singleton baby. It’s possible to deliver twins after less than 25 weeks of pregnancy. The earlier twins are born, the higher their risk of developing multiple health problems. How early can twins be born and survive? Twins born at 25 weeks have a survival rate of at least 50%. This improves with each additional week of the twin pregnancy. 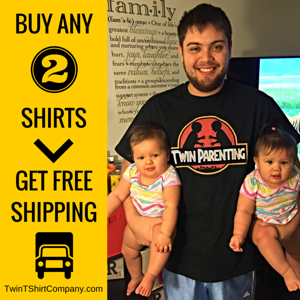 What’s a Typical Delivery Time for Twins? When are twins born? 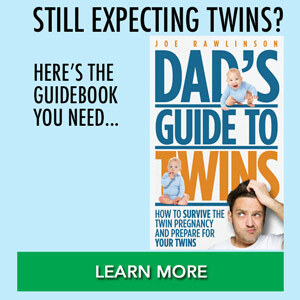 The average twin is delivered after 36 weeks of gestation. Contrast that with the average for non-twins: 40 weeks. 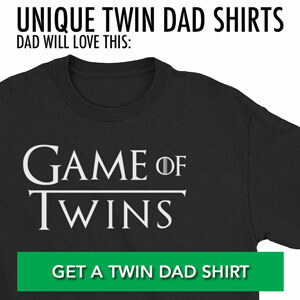 In other words, twins tend to be delivered a full month earlier than non-twins. 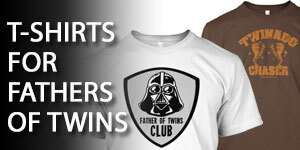 When are fraternal twins usually born? 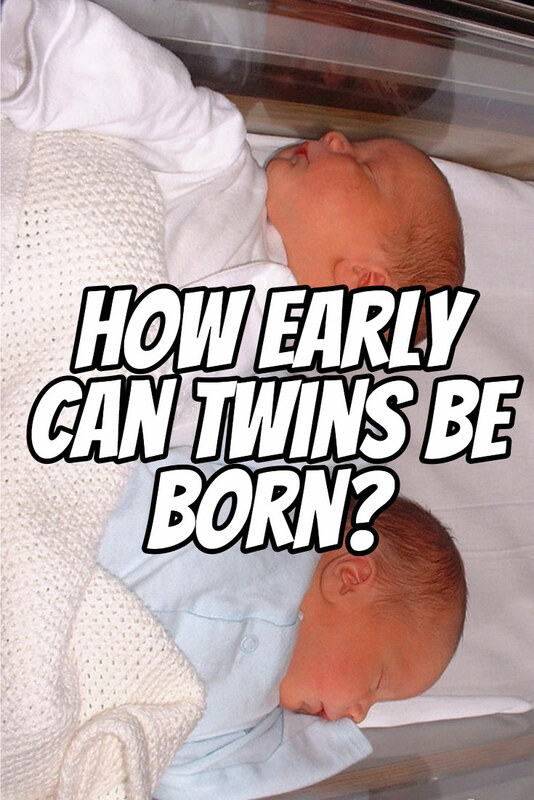 When are identical twins usually born? The average week twins are born is 36 regardless of whether they are identical or fraternal. Our twin girls were delivered at 36 weeks but remember that your twin delivery will likely be different. Your OB/GYN might tell you that the ideal time to deliver twins is a little earlier than the due date. This might come as a surprise, but keeping your twins until the actual due date could result in much larger babies and a lot more complications. You will be more at risk to have placental, labor-related, and delivery complications. In addition, if your twins go full term, there will be no room left inside Mom. She will be miserable! A premature birth is typically less than 37 weeks. Reports show that more than 60 percent of all twins are delivered prematurely, mostly after about 34 weeks. If you give birth to twins before 32 weeks, your babies are more likely to have a low body weight and the potential for permanent disabilities. 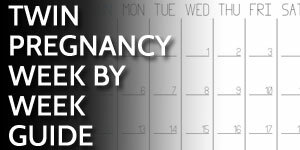 Here’s a great week-by-week summary of what to expect with premature babies. 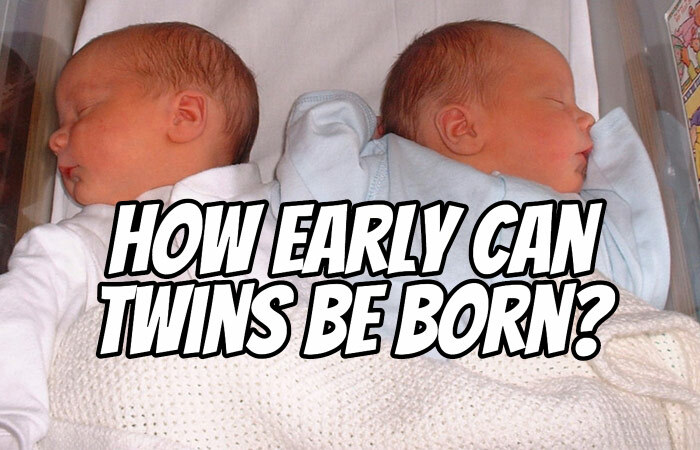 Why Are Twins Born Early? Twins are delivered earlier than non-twins largely because of decreased space in the womb. There simply isn’t enough room in most wombs for twins to grow to the size of normal babies before birth. A lot depends on whether the twins are sharing the same placenta or each twin has its own placenta. Twins that share the same placenta are called monochorionic twins. Twins that do not share placentas are called dichorionic twins. Monochorionic twins have a much higher risk of having problems during pregnancy than dichorionic twins. They typically have shorter gestation times than dichorionic twins. Monochorionic twins do not always share the placenta equally. Sometimes, like in the case of Twin-to-Twin Transfusion Syndrome one twin receives a lot more blood and oxygen than the other. Because babies that are dichorionic twins have their own placentas, they do not have any placenta-related blood flow problems. Survival rates for twins depend on how long their gestation period was and their birth weight. The longer the gestation period, the better the survival rates. The lower the birth weight, the worse the survival rates. Roughly half of all twins can be classified as low birth weight, 5 lbs 7 oz (2,500 grams) or less. 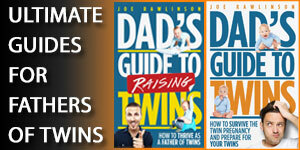 Survival rates for twins between 3 lbs 5 oz and 4 lbs 7 oz (1,500 to 2,000 grams) are quite good. They can be as high as 95%, surprising as this might seem. On the other hand, survival rates for twins less than 2 lbs 3 oz (1,000 grams) are only 70%. That can be frightening to a lot of prospective parents. Fortunately, the vast majority of twins have a birth weight greater than 2 lbs 3 oz when they are delivered. Most pregnant women do not need to worry about their twins being born with birth weights this low. Women pregnant with twins that do their best to remain in excellent health during pregnancy are less likely to deliver early than pregnant women with poor health during pregnancy. In other words, the mother’s lifestyle can make a real difference. Pregnant women can help their babies by avoiding smoking and alcohol. Smoking in particular greatly increases the risk of babies being born prematurely. A healthy diet rich in fruits and vegetables also helps diminish the risk of complications with pregnancy. Pregnant women that follow a healthy lifestyle do not need to worry as much about how early can twins be born. Be sure to consult with your physician for specific advice on your twin pregnancy. Since many twins are born prematurely, you should start discussing the birth options with your midwife or doctor during the early stages of pregnancy. Due to the riskier nature of your twin pregnancy and upcoming delivery, you’ll be having frequent visits to the obstetrician. During these visits, all the aspects related to your twin pregnancy, labor, and delivery will be monitored carefully. Ask your doctor when is it safe to deliver twins based on your situation and health of both Mom and babies. In many cases, twins have to spend time in the NICU. This is particularly true if your twins arrive very early. Even if the twins are delivered near full term, your babies might have to stay in the hospital a little longer than normal. The bottom line is that it is impossible to predict if your twins will be born early. You need to prepare for that possibility and discuss your options with your medical provider. While you can do the best you can during the pregnancy, don’t blame yourself if your twins are born early. It is normal for twins to arrive early and they may just do that regardless of mom’s health or best efforts. @Tatiana – congratulations on your upcoming boys! At 32 weeks, your twins are making good progress. I hope the rest of the pregnancy goes well for you. On hospital bed rest with dichorionic twin boys. One membrane ruptured at 28 weeks. I’m about 30 weeks now. The goal is to get to 34 weeks and have each baby weigh about 4 lbs. I was surprised to hear that my water breaking doesn’t necessarily mean imminent and immediate birth. In fact, amniotic fluid is constantly replaced, but leaks out like a water ballon with a hole in it. They’ve successfully given me steroids and I’m hydrated like a fish out of water. Heart rates are constantly monitored as well as any signs of infection. So far…so good! @Theresa – best of luck keeping those babies in until at least 34 weeks! Just a note to say don’t lose faith or heart if your babies are born early. I have di/di twins boys born at 25 weeks. They are now 13 months old and thriving. Don’t get me wrong we have had our challenges and a lot of tears but twins and babies are much stronger and a will to survive we don’t give them credit for. @Lynn – thanks for sharing the success story of your babies! Can I ask what kind of complications the boys have/had being born that early? I’m also pregnant with di/di twins and my water broke at 22 weeks. I’m on bed rest and I’m at 24 and 5 now. I’m just hoping to hear other experiences. @Tee – hang in there. Follow your doctor’s advice and you and the babies will be fine. Even if they are born early, you’ll get great care for them in the NICU. Is it possible to deliver twins at 30 weeks without having them go through NICU? @Jacques – it is not very likely. 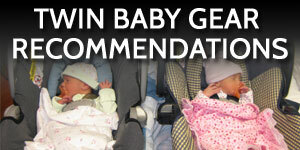 When born that early, they will need some extra time in the NICU to get ready for the outside world. Twins born at 30 weeks average a hospital stay of about 36 days. I’m pregnant with mono/di twin girls. I’m 25 weeks and 1 day pregnant. The found reverse blood flow in baby A’s cord but it’s disappeared since that day. Both my girls are growing fine, they went ahead and gave me the steroid shots, they found protein in my urine but my blood pressure is perfect and the girls are fine but the doctors are keeping me in the hospital until I have to deliver. It’s so hard being cooped up, I’m only 21 and my husband works a lot now that I can’t work so I only get to see him for about an hour everyday. But so far I’ve not been diagnosed with Preeclampsia but they are concerned that it will turn into that very soon. @Mackenzie – Hang in there! The challenges of the twin pregnancy are worth the effort in helping those babies grow more before they enter the world. All the best to you! Postpartum Doula/Newborn Care Specialist to multiples and preemies here. The smallest twins I’ve taken care of was when I was a nanny. They were born at 24 weeks and weighed 15 oz and 1lb 3oz. They will be 9 y.o. next week, are are doing well. Definitely not without challenges, but no lasting physical or cognitive delays. They are happy, thriving little girls who fit right in with their peers. The largest I’ve cared for were born at 38 weeks and almost 6 lbs each. Another set were born at 38 weeks and born vaginally with baby A in footling breech position, if you can imagine that! Three totally different experiences…all great outcomes. I wish the best to all of you with your pregnancies and babies! @Kim – thanks for sharing these success stories! @Queeneth – talk to your doctor as they are most familiar with your pregnancy and situation. I am pregnant with bridge twins n i am 33weeks now,at my 29th week had a false labour pains and ran to hospital and was admitted for the monitored for the progress of the twins and later was discharged but now the same abnormal pains has came back stronger than the last time,should i be worried and run to the hospital again? @Rory – always be sure to call your doctor as they are most familiar with your pregnancy and health issues. @Darin – Not always but most of the time, IUGR children do catch up. The timeline may vary so ask your doctor who is most knowledgeable about your situation.